Stephanie’s responsibilities include sourcing, structuring, negotiating, underwriting and closing tax credit transactions for third party developer and investor clients. Prior to joining Twain Financial Partners, Stephanie was a tax credit and real estate finance attorney at Lathrop Gage LLP and Polsinelli PC where she represented equity investors, developers, lenders and allocatees in a variety of real estate and financing matters involving federal, state and local tax credit incentives, including new markets tax credits, historic rehabilitation credits and low-income housing tax credits. 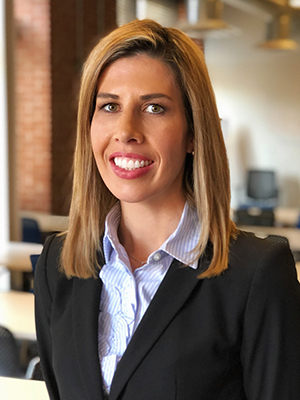 Prior to practicing law, Stephanie obtained her license as a certified public accountant while working at EY, where she gained corporate and partnership taxation experience at the federal and state level. Stephanie received her J.D. from St. Louis University School of Law. and her B.A. in Accounting and Economics from Loyola University Chicago. Stephanie is licensed to practice law in Missouri. Stephanie was named a 2017 Missouri Super Lawyers Rising Star.